The early months of the year (in the northern hemisphere), are notorious for bringing the worst of what mother nature has to offer. Driving in such conditions unprepared can be dangerous! So, we’ve compiled a list of five useful items and some tips to help keep yourself and others safer on the road. Whether you’re clearing snow from your driveway or the roof of your car, a snow shovel is likely to be your tool of choice. It’s the kind of item that will sit untouched in the trunk of your vehicle 360 days of the year, but when you do need to use it, it come in handy. Prices range from $10-50 depending on the size and quality of the shovel you buy. Alternatively, you can pick one up a second-hand one for as little as a couple of bucks. Top tip: Always clear your car vehicle roof of any snow before driving. If you don’t do so, you can be fined for endangering other road users and will be liable in the event of an accident. The last thing you want during a cold snap is for the water in your engine’s cooling system to freeze. Such an event can cause damage to components, such as the radiator. They cost a small fortune to fix. Thankfully, there’s a solution at hand: engine coolant. This magical liquid, which can be purchased at any gas station for around five bucks, can lower the freezing point of water to around -37°C. Add it to your radiator reservoir after your engine has had time to cool down. (First check to see if it needs to be mixed with water). Top tip: Tap water can contain suspended particles or minerals that are harmful to engine components. Therefore, it’s best to mix your coolant with water that has been distilled. There’s nothing worse than being late for work and having to wait for your car’s central heating system to defrost your windscreen. One solution to speeding up this process comes in the form of an ice scraper. They can cost as little as a couple of bucks from convenience stores. They help you to clear your screen in a matter of minutes. Top tip: Don’t use an old CD case or any other D.I.Y contraption to help clear your windscreen of ice. These can break and cause harm to you or damage your car. Snow, hail, rain, you name it, winter brings it. There’s nothing worse than driving in these difficult conditions than with worn out wipers, that leave behind a smeared mess. New wiper blade pairs or rubbers can be picked up from a local automotive center or online for $10-20. Some auto centers will even fit these onto your vehicle for a small fee. Top tip: Using your wipers to clear ice from your windscreen will damage the rubbers. Make sure your screen is thoroughly defrosted before attempting to do so. The popularity of all-season tires is increasing thanks to their improving performance in both warm and cold conditions. They can improve your car’s grip in icy conditions, making it easier to pull away and to avoid heart-stopping skids. Winter weather tires, are still the better option if you live in a part of the world where snowfall is a common occurrence throughout the colder months. Top tip: Can’t afford to invest in a set of winter tires? Try out snow socks instead. They are easy to fit and carry around, making them perfect for climates where a covering of snow is a rare occurrence. Just as parts of the Northern Hemisphere enters a deep freeze, our friends in the Southern Hemisphere are enduring record heat. The earth may be a little blue marble, but weather conditions can vary widely and have a huge impact on your car. 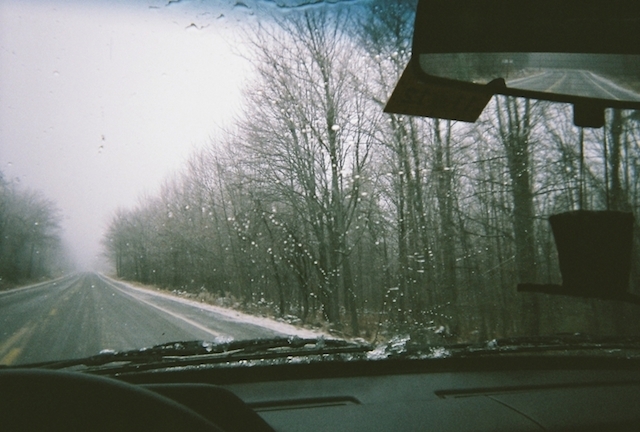 Fresh wiper blades are essential for safe winter driving. If you are planning to take an extended trip this season, the following winter driving tips are worth reviewing. 1. Examine your antifreeze. When was the last time you checked your antifreeze? It may not need to be flushed, but it may need to be topped off. Check for leaks too you do not want to get stranded because your radiator was not up to the task. 2. Check your tires. It is always good practice to outfit your car with snow tires when driving on icy, slippery roads. You may have been lulled into believing that all-season tires are sufficient to get the job done, but you simply cannot get the same benefit from tread design and compounds used with snow tires. And, yes, for maximum traction place snow tires on all four corners, not just two. 3. Look at your brake system. An anti-lock brake system can help your car stop, but it is no substitute for worn brake pads and caliper problems. While you are underneath your car, check that the exhaust system is functioning properly too. 4. Top off the windshield washer reservoir. Head out on the road when the snow is melting and you will hit a barrage of slush that will splash up onto your windshield. You will need to start your trip with a full windshield washer reservoir with an antifreeze agent. Replace your wiper blades too if they have not been swapped out in at least six months. Bring an extra container of fluid with you. 5. Bring along emergency supplies. The possibility that you might get stranded looms as you hit the road under unfavorable weather conditions. Ideally, you will wait out a storm, but if you must travel, bring the following items with you: a snow shovel, brush, jumper cables, kitty litter or sand for traction, a spare cell phone battery, flares, blankets, water, food, a mirror to signal for help, and ample clothing. Let someone know of your intended route, giving them instructions to call for help if you do not arrive at your destination at the prescribed time. 6. Practice safe winter driving. You are quite the maverick on the road, are you not? With winter driving, you will quickly discover that you do not always have as much control over your vehicle as you would when road conditions are dry. And neither do other drivers. Ease up on the gas pedal, gently apply the brakes and allow for more room between yourself and other cars. When roads are slick or slippery, you need to account for longer stopping distances. If you have a GPS navigation system, keep tabs on possible delays and detours. If your route must change, call ahead to tell your party that your trip has been altered accordingly. If you have an emergency give 9-1-1 a call. Also, make sure that your auto club membership is up to date you may need to call for a tow truck if you get stuck.